-We take Green Hope geeking to a whole new level. -We discover that a drop is not a drop. -We answer all your questions about who funded this study. -We establish that while Molly has been accused of having no right brain, there ARE people at the farm with very high functioning right brains ( just not me). 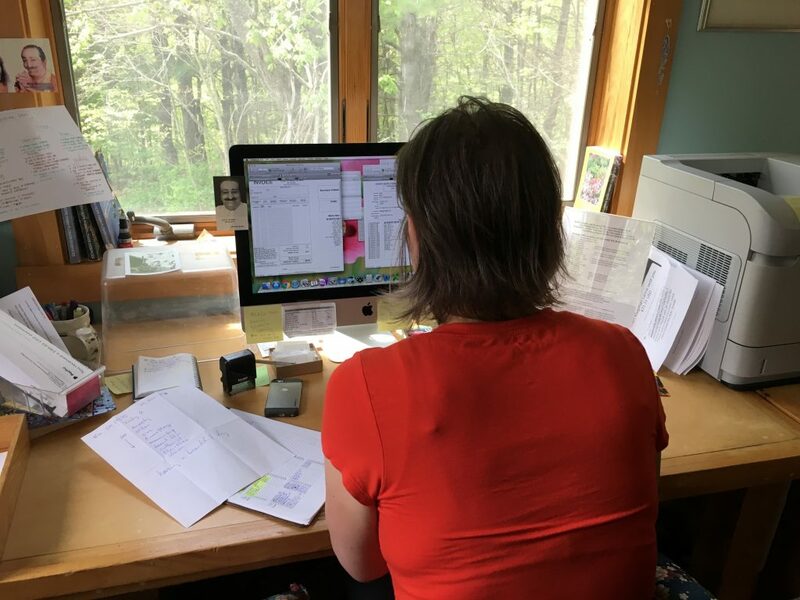 -We discover that one of the staffers with a wonderful left AND right brain, Jen Lenz, would leave no stone unturned to be accurate in how we answer your questions. To explain- Staff Goddess, Jennifer Lenz, decided she wanted to double check the number of drops in our bottles since we routinely tell you that the 1/2 oz bottle contains 300 drops and the 2 oz bottle (at four times the size of the 1/2 oz) contains 1200 drops. In any case, all this translated into Jen patiently sitting down with test bottles to count out the drops. 2 ounces is approximately 57 grams with dropper and with the Flower Essence level at the base of the neck of the bottle. Each large dropper has approximately 17 drops in it. Each spritz is approximately 3 drops with approximately 440 sprays in a 2-ounce bottle (spraying that many times was actually easier than I thought it would be). 0.5 ounces is only approximately 210 drops (!!!!) with the standard small dropper top. Wait…what? Yes, I tried it multiple times. All were the same. 0.5 ounces is approximately 305 drops with the larger dropper top!! As it should be! In conclusion, not all dropper tops are made the same!!! And what’s up with the small dropper tops? As I was counting the drops from the smaller dropper top, I did think “geez…do these drops look bigger?” Are all drops just a drop? I have no idea what you want to do with this data, but this has been your science lesson of the day. So now we wonder- How do we explain this phenomena to you all? Anyway, back to our current situation. Older 1/2 oz dropper tips apparently make smaller drops than this new batch of dropper tips. So if you have older Essences as in six months old or older, you probably have these older dropper tips and will get 300 drops out of your bottle. If you have newer Essences then consider that one drop is really more like 1.5 even 2 drops from one of the older dropper tips. Please know you can use fewer drops with these new dropper tips to get the same number of dosages. REASSURING TRUE FACT THAT CANNOT BE ALTERED BY BAD MANUFACTURING PRACTICES: A LITTLE BIT OF FLOWER ESSENCES CONTAINS THE SAME INFORMATION AS A LOT OF FLOWER ESSENCES THEREFORE YOU DO NOT NEED A LOT OF FLOWER ESSENCES TO GET THEIR HEALING INFORMATION. 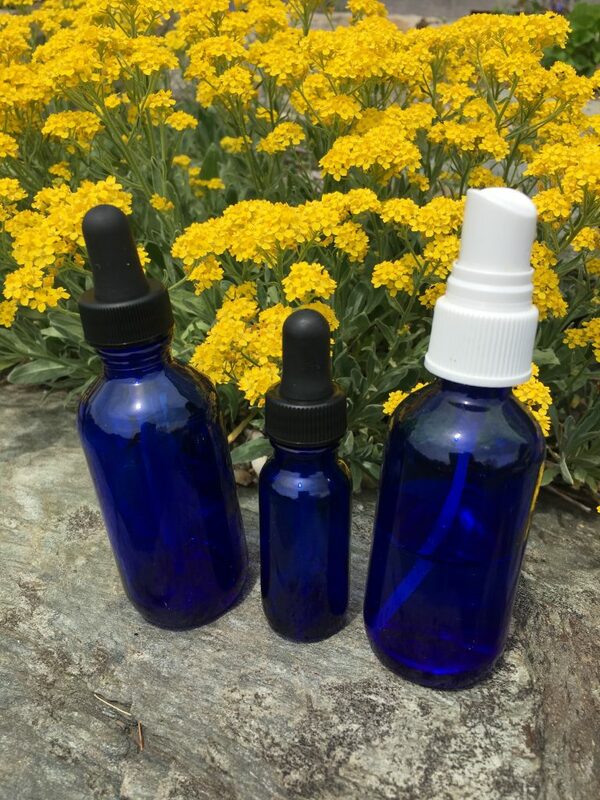 Given this truth, drops are elevant in terms of you getting the highest number of doses from your bottle of Essences, but not in terms of you getting the healing information of the Essences. .
Get the most from your bottles of Essences is one reason we mention SPRITZING so much. It is also SUCH an effective way to give you and your beloveds the information of the Flower Essences. With a spritzer your subtle electrical bodies as well as your physical body get the information of the Essences. Your mental, emotional, etheric AND physical bodies and their many electrical receptors get the information at the same time! Spritzing is also, according to our Green Hope Farm Lab Goddess Jen, a very cost effective way to use the Essences. Remember with a spritzer bottle you can put a couple droppersful of whatever Essences you want to work with in an empty spritzer bottle then fill with water, and according to Jen, get 440 spritzes! That is a lot of SPRITZING! Please email with any questions about this data Attention Jen- Her answers will be more accurate than mine!